Hakumei & Mikochi's tiny little life in the woods is usually gentle and calm. But even they're no strangers to the occasional surprising turn of events! Wandering minstrel Conju getting kidnapped, a curious visitor dropping in on a rainy day, and a game of soldiers turning very serious indeed are all part of their great adventures! 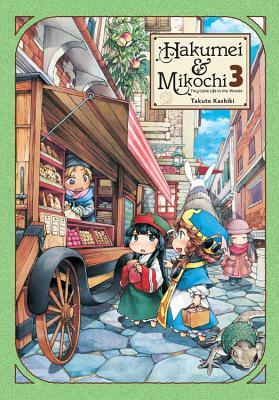 Takuto Kashiki is the author of Hakumei & Mikochi.